Patients don’t take their medicine as prescribed about 50% of the time. And approximately 25% of new prescriptions are never filled. You may already know these statistics. They’ve been cited for years. And that’s the problem: we’re still citing them because they are still true. Nonadherence is a big impediment to getting and keeping patients healthy and is often an under-recognized cause of poor health outcomes. It’s also a significant contributor to hospital readmissions. 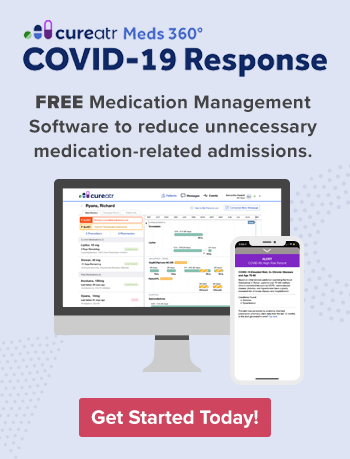 A study of Cedars-Sinai patients showed that patients with low and intermediate adherence (combined) had readmission rates of 20.0% compared to a readmission rate of 9.3% for patients with high adherence. The study found that patients with low and intermediate medication adherence had an adjusted 2.54-fold higher odds of readmission compared to those in patients with high adherence. From both a quality and financial perspective, hospitals and health systems must get on top of this problem. We know that patients are reluctant to tell their doctors that they never picked up their pills, aren’t taking them, or maybe aren’t taking them consistently or as prescribed. We know that hospitals have more skin in the game than physicians when it comes to readmissions - from readmission risk and penalties to value-based care arrangements. And let’s face it: hospitals typically have more skilled professionals and better analytics software for developing and implementing quality improvement (QI) initiatives than most physician offices. Hospitals can and should take a leadership role in improving adherence as part of QI. I argue that medication adherence be part and parcel of all QI programs. It’s an essential element to improving quality and care and goes hand in glove with any initiative focused on improving quality and safety. In our next post, I will suggest some practical actions that clinicians can take to improve adherence conversations with patients. That’s a critical first step in both the inpatient and outpatient setting. Explaining to patients and family members which medicines are being prescribed and why. Taking the time to explain side effects. Letting patients know it's not only okay, it's essential they call as soon as they experience anything out of the ordinary. Integrating the importance of adherence into the discharge plan is also vital. It can improve patient comprehension and confidence about the new regime as well as how to integrate the new medications with those already in the medicine cabinet. And the physician office nurse can reiterate instructions during the post-discharge appointment. Early identification and intervention can stop a condition spiral that could land the patient back in the hospital. Proactive, ongoing calls or telehealth visits from the hospital’s care manager should continue to include adherence conversations. These multiple points of communication are critically important for comprehension. And, they will indicate patients who are at just about to, or perhaps have just started to, go off the rails. That’s the time to step in and get serious about scheduling a provider visit. It’s adherence communications and follow up protocols like this that must be baked into every clinical pathway or quality protocol you’ve got. A few years back, CMS assigned a triple weight to the Part D score criteria for three classes of medicines: antihypertensives, antihyperlipidemics, and oral hypoglycemics for diabetic patients. Obviously these medications treat three common suspects, and CMS data showed that these medicines had a significant impact on the cost of care and rate of readmissions. The triple weighting was instilled to motivate hospitals to improve the use of these drugs by discharged patients and those with hypertension, hyperlipidemia, and diabetes. 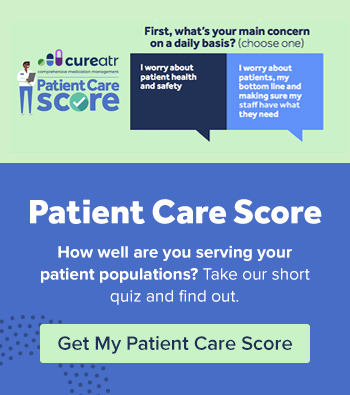 If a patient has a Portion of Days Covered (PDC) of 80% or better on these measures , hospitals get three times the benefit in their overall Stars score. If your organization is looking to improve your score and you are currently focused on increasing the volume of single-weighted criterion such as mammograms and pap smears, you are never going to get there. A focus on adherence to these medications can. If increasing adherence results from adding additional focus in QI initiatives, you may win favor with Medicare Advantage (MA) plans, potentially garnering increased per diem rates, higher DRG reimbursement, or a greater portion of value based reimbursement. And of course if your facility achieves a five star rating, it opens the opportunity for promoting that and reining in scheduled admissions and other services from patients who have discretionary spending options. Although medication adherence is really hard to fix once you've identified it, the fact is there is no better place to spend your time if you want to drive your QI program. Everybody, and most importantly the patient, wins. Sabaté E, ed. Adherence to Long‑Term Therapies: Evidence for Action. Geneva, Switzerland: World Health Organization; 2003; and, Lee JK, Grace KA, Taylor AJ. Effect of a pharmacy care program on medication adherence and persistence, blood pressure, and low‑density lipoprotein cholesterol: a randomized controlled trial. JAMA. 2006;296(21):2563‑2571. Fischer MA, Choudhry NK, Brill G, et al. Trouble getting started: predictors of primary medication nonadherence. Am J Med. 2011;124(11):1081.e9‑22; and Fischer MA, Stedman MR, Lii J, et al. Primary medication non‑adherence: analysis of 195,930 electronic prescriptions. J Gen Intern Med. 2010;25(4):284‑290. Medication adherence as a predictor of 30-day hospital readmissions, Olga Z Rosen,1 Rachel Fridman,2 Bradley T Rosen,3,4 Rita Shane,1 and Joshua M Pevnick4,5, Patient Prefer Adherence, April 20, 2017, https://www.ncbi.nlm.nih.gov/pmc/articles/PMC5404806/.